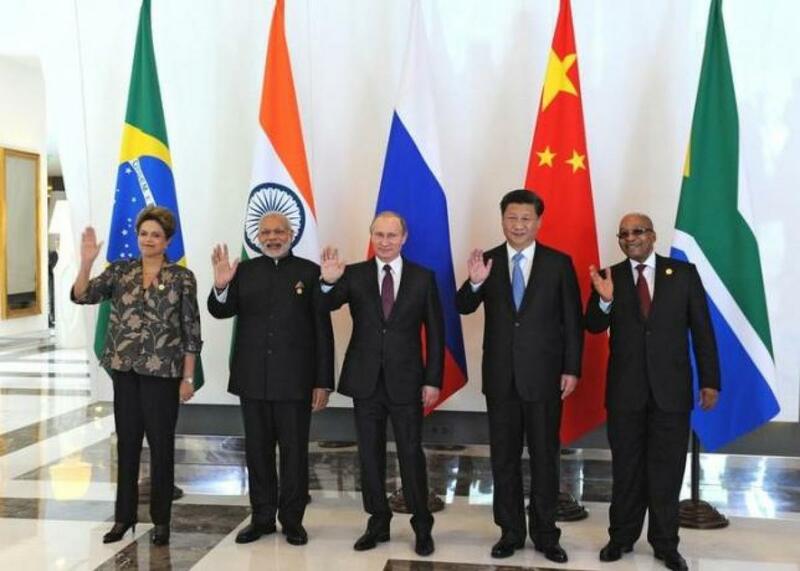 The BRICS group of emerging nations called on the Group of 20 (G20) top developed and developing nations on Sunday to strengthen their macroeconomic policy cooperation to prevent bad effects from a weak global economy and reduce risks to growth. The BRICS group of emerging nations called on the Group of 20 (G20) top developed and developing nations on Sunday to strengthen their macroeconomic policy cooperation to prevent bad effects from a weak global economy and reduce risks to growth. Leaders of Brazil, Russia, India, China and South Africa, who met on the sidelines of the G20 summit in the Turkish town of Antalya, said global economic recovery was not yet sustainable. "(This) underlines the importance of strengthening macroeconomic policy coordination and cooperation among G20 members to avoid negative spillovers and to achieve strong, sustainable and balanced growth," the group said in a statement after the meeting. The group's economies have been struggling this year, with China's growth at its weakest since the 2008-2009 global financial crisis and recovering from extreme market volatility over the summer. Russia's economy, hit by sanctions imposed over Moscow's role in the Ukraine crisis as well as declining commodity prices, has entered into recession for the first time since 2009. Many investors have pulled out of the once-vaunted BRIC quartet of emerging markets, then without South Africa, due to years of collective underperformance by the group. "Complex structural and cyclical problems have led to a slowdown in the world economy and in ours," Russian President Vladimir Putin told the BRICS meeting. The group, which has struggled to build an economic and political partnership, condemned on Sunday the terrorist attacks in Paris, vowing to strengthen cooperation among one another and with other nations in the fight against terrorism. But the group came short of addressing another critical issue discussed at the G20 summit over the weekend in Turkey - the refugee crisis. South African President Jacob Zuma said only when addressing the group and commenting on the attacks in Paris on Friday, that "the attacks don't mean that every refugee is a terrorist". The diverse BRICS, which have been meeting regularly since 2009 and account for a fifth of the world's economic output and 40 percent of its population, have struggled to come up with unified actions, often instead focusing on criticising the West. For Russia, hit by sanctions that have cut off access to Western funding, thwarted investment and contributed to an economic downturn, greater cooperation is a priority. On Sunday, the group criticised the sanctions. "The leaders noted that geopolitical challenges, including the politicisation of economic relations and the introduction of unilateral economic sanctions, continue to beset future prospects for economic growth," it said. But they pledged to work together with other G20 members to reduce potential risks to economic growth.